Sao Mai (Morning Star) singing contest 2019 has been kicked off. The competition is calling for contestants 17-27 years of age at home and abroad. The round of local elections will take place in three regions. The southern region’s round will be held on January 16-20 in HCMC; the contest of the Central Highlands region will take place from January 24-27 in Da Nang city; and the competition of the northern region will be organized from January 18-22 in Hanoi. The top 15 selected winners from across the country will take part in in the final round in March and April, 2019. The winner of the contest will represent Vietnam in the ABU Television Song Contest, held annually by the Asia Pacific Broadcasting Union (ABU). 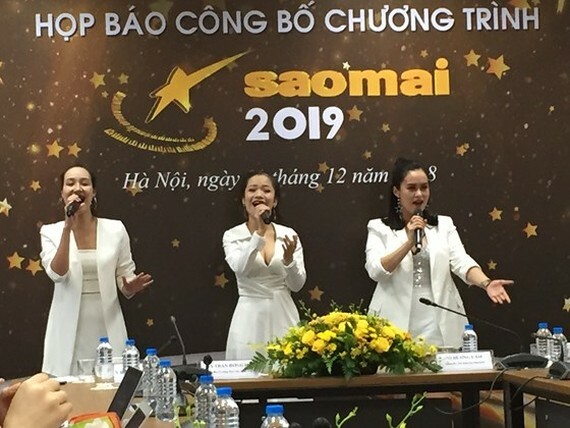 Launched in 1997, the Sao Mai (Morning Star) National Television Singing Contest takes place every two years and is organized by Viet Nam Television with the aim to uncover potential young music stars. This is an occasion for young, talented singers to show their skills in fields of folk-singing, opera, pop, rock. The contest is regarded as one of the biggest national music contests.